Click on City Link Magazine to read my story, Family Business. This is the art that went with it. 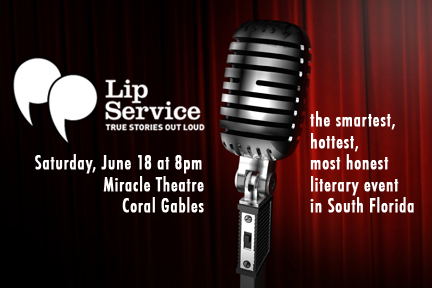 Lip Service is teaming up with Under the Sun for a night of true stories and a behind the scenes experience of the making of a radio show. Gettickets now. This is our biggest and best Lip Service production ever. We’re going to sell out. Storytellers: Andrea Askowitz, Terence Cantarella, Aaron Curtis, Maria De Los Angeles, Robert Foote, Jeremy Glazer, Allison Langer, Esther Martinez, and Brenda Mezick. Lip Service is Going on the Radio!